If you'd mentioned self care to me a few years ago I'd have thought it was a fancy way of saying 'adulting', a fluffy term to describe doing your laundry, cooking a meal, and generally getting shiz done. 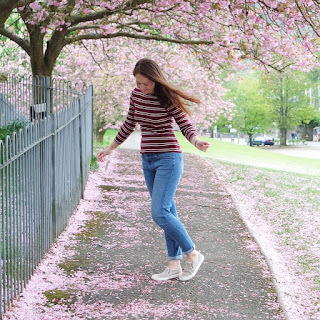 Luckily, blogging has opened my mind, and I now not only recognise what self care is, but how well it works for me. Lots of self care guides seem to mention bubble baths, chocolate, and #treatingyoself, which is all well and good if it works for you, but if you're already doing those things and not feeling the benefits, or can't afford a shopping spree every week, it may feel like you're missing the boat. If you ask me (which I'm presuming you are, since you're reading this post) self care takes many forms, and all of them stem from listening to your mind and body and indulging them. We live fast paced lives with so much expected of us, it's no wonder we feel frazzled and in need of a little TLC. Whether you have a mental or physical illness or not, I firmly believe that taking some time for ourselves can help us all to deal with what life throws at us, and be at our best. The first thing I would advise anyone to do is to look at why they need care. For me, it's about balancing the effects of anxiety. 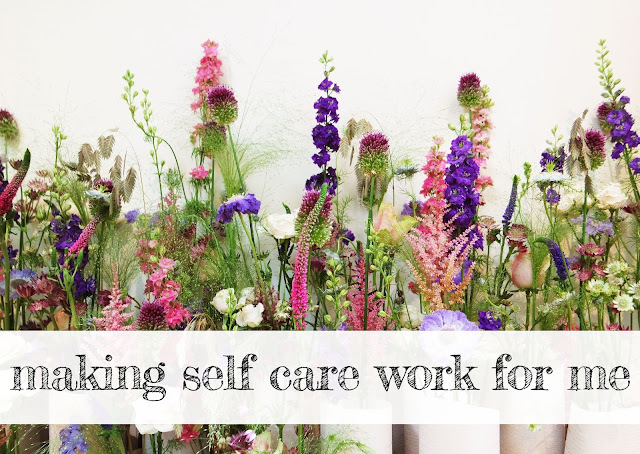 It makes me feel overwhelmed, exhausted, and very tense, so my forms of self care are about escaping, doing things that make me feel 'me', and looking after my body. Reading has been a huge help to me, as it totally takes my away from my own worries and my mind becomes occupied with someone else's story. The Amazon Kindle library has loads of free books so I stock up on easy to read romances and fall into them for an hour or two (or six, when it's a particularly good one that I can't put down!). I don't often like being alone as it allows me to dwell on my thoughts, but it's also good for me as I don't feel the pressure to hold conversations or have people see me, so reading is a healthy way to get the best of both worlds. Another favourite fix when I'm feeling overwhelmed is cleaning my room or tidying my wardrobe. When my space is messy I feel more trapped, so having it clean is helpful but the methodical process of folding, wiping, and putting things away makes me feel much calmer in itself. It's a good opportunity to get rid of clutter or things that hold any upset for you too, thus helping you to feel better in the long run. When I'm exhausted and tense, I do like early nights or lie ins, and baths or foot soaks with Epsom salts, where I can let the tension in my muscles melt away in the hot water, but I also love to warm up from the inside with hearty meals and piping hot mugs of tea. Any sort of heat helps to relax me, and let's be honest, there are few things more comforting to us Brits than a bowl of cottage pie and a mug of Yorkshire Gold. Plus, a good meal will nourish you, giving you the energy your body needs and playing a part in making you feel physically better. You probably know by now that I'm a nature baby, and getting outdoors ticks all my boxes. Even when it's wet outside and I'd really rather lie in, I genuinely do feel much better when I've stretched my coiled muscles and released some endorphins. Being under open skies and ancient trees makes my worries and niggles seem much smaller, and it's definitely where I feel most myself, but I know it's not for everyone. If you can't get outdoors, try listening to water sounds on YouTube, sitting in the garden for a while, or just doing some stretches to loosen yourself up and release some of that nervous energy. It's so hard when you're tired, but it really does make a difference, I promise. My last pearl of wisdom for fellow anxiety or depression sufferers is to do things you know you can do well, spend time with people you know love you, and go to places you know you feel safe. For me, this means singing, being with my boyfriend, or walking with my family. It allows me to push past the voice telling me to stay curled up in bed, without pushing myself too far when I'm already feeling fragile. It also reaffirms that I am talented, loved, and capable, and proves my anxious thoughts wrong, even just for a while. What self care techniques do you use?